This Mankind Bike Co. "Prometheus" Freecoaster is a stable and high quality manufactured street freecoaster whose inside components using patented and proven KHE technology. 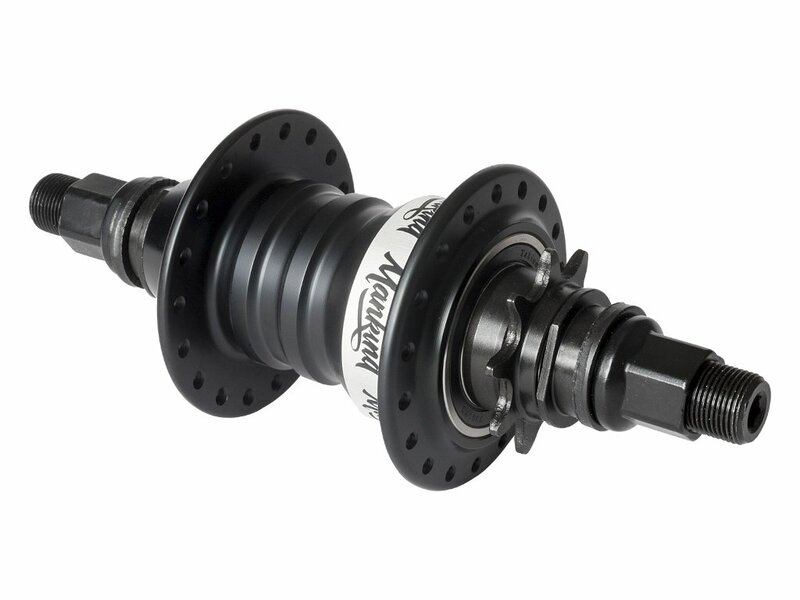 The 9T Driver is equipped with a sealed bearing and a additional polymer bushing. The 14mm male CrMo hollow axle of this Mankind Bike Co. "Prometheus" Freecoaster is heat treated to withstand the loads while grinding. 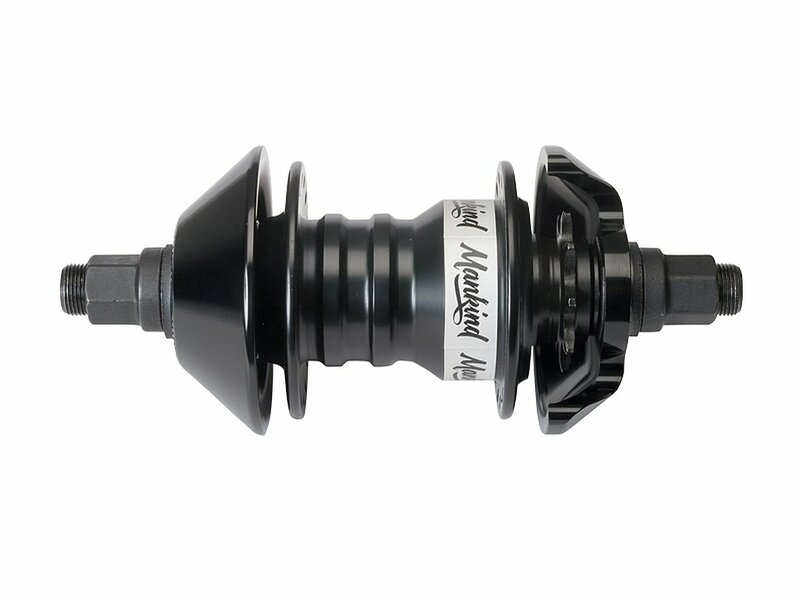 The Gap of this street freecoaster can be variably adjusted by adding or removing the included spacers after removal of Driver, axle and non drive side bearing. Furthermore this street freecoaster is available as RHD or LHD version. 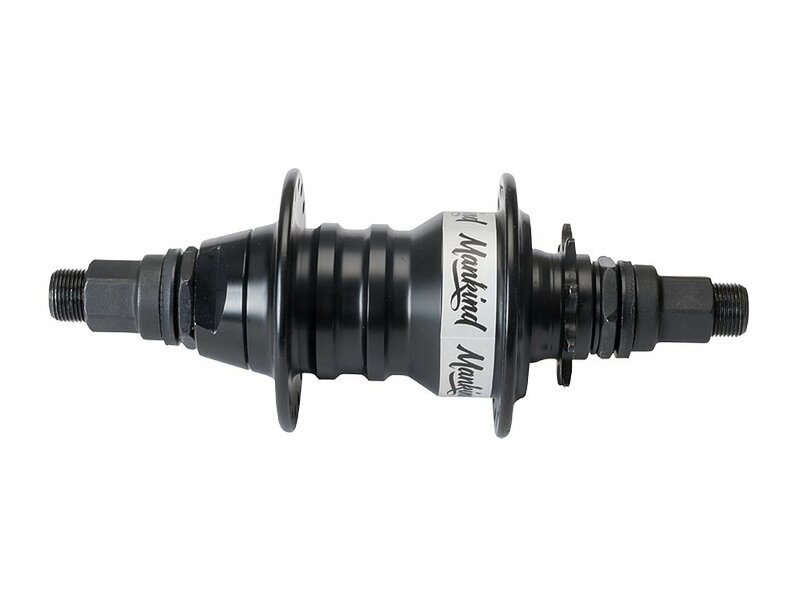 Compatible Hubguards like the Mankind Bike Co. "Prometheus Freecoaster" Hubguard and Mankind Bike Co. "Prometheus Freecoaster" Hubguard - Driver Side are available separately.